Leopards are one of the “big cats”, along with tigers, lions, and jaguars. Leopards are native to Africa and are known for their exceptional climbing abilities. Leopards will often take their prey up into trees to keep it safe from other predators looking for a meal. Out on the African plains, nothing on the ground is safe! Leopards can have a melanistic coat, which is black, but they still have spots and those spots can often be seen in the sunlight. Leopards in the wild typically live between 10 and 15 years of age. In captivity, they can live up to 20 years. Leopards grow to be 3 to 6 feet long. As with most cats, males and females differ in size and weight. Females typically weigh between 45 and 132 pounds and males between 80 and 165 pounds. Leopards' spots are called rosettes because they often look like roses. Some leopards are born with a black coat, which is due to an abundance of melanin in their genes; they are called melanistic.  Black leopards are typically found in densely forested areas and tropical rainforests. Leopards are spotted cats that look similar to jaguars. Leopards have more spots, those spots are closer together, and their spots are often solid. Jaguars have larger, more open rosettes, and many of those rosettes have smaller spots inside. Leopards have a tan to yellow coat. Leopards are solitary cats that spend a lot of time in trees. They share similar habitats with lions, cheetahs, and hyenas and do better to stay off the ground. Leopards are excellent climbers and will often take their prey up into a tree to keep it safe from other predators. Leopards are typically diurnal, hunting mostly during the day and sometimes during twilight. Leopards are extremely adaptable. They can live in most areas, including the savanna, rainforest, grasslands, woodlands, and forests near rivers. The leopard’s principal threat is humans, due to hunting and habitat loss. Leopards are a high-priced item when it comes to hunting and they are losing the majority of their habitat to humans. Leopards have the widest range of all wild cats. 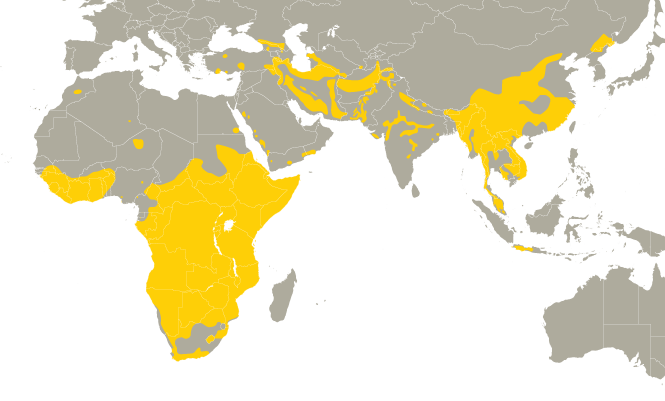 Their range is primarily in Africa, but they can also be found in eastern and southern Asia. They can even be found in the untouched wilderness of eastern Russia. Leopards are skilled hunters. In Africa, they prey on ungulates, or hooved animals, such as antelope and gazelle. They can take down an animal three times their size and will often carry it up into a tree for safekeeping. They will also take down smaller prey like rodents and rabbits. Female leopards typically begin giving birth around 2 to 3 years of age. The gestation period for a litter is 90 to 105 days and a litter usually consists of 2 to 4 cubs. The cubs will stay with their mother until they are about 18 to 24 months of age. Leopards are considered opportunistic hunters. They will take whatever they can get, whenever they can get it. They are also ambush predators. They will stalk and surprise their prey by pouncing on it, then kill it with a quick bite to the neck. Leopards are classified as "vulnerable" on the IUCN Red List. 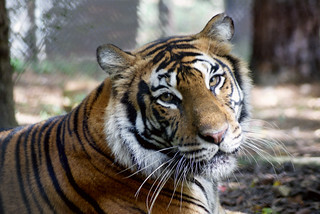 This is due to poaching and habitat loss. The ability of the leopard to adapt to many environments has allowed its numbers to, so far, stay steady in spite of these threats.